It's no secret that cannabis has peaked the interest of countless people for a variety of different reasons. The challenge is, this being such a newly researched topic, there are not a ton of credible sources of information available to those who want to understand how this plant, and the chemical compounds that are made within them actually work. Even when you do see a book or some piece of information about this topic, more often than not it can be difficult to know whether it's coming from a credible resource or author. Just be aware that there is a lot of misinformation out there and you, therefore, you may want to condition yourself to be mindful of it. Below you'll find a list of some already vetted books written by credible sources to give you a start on your search for information. So without further adieu – here is a list of some of the most insightful, and resourceful cannabis books you can buy that are about cannabis and hemp, both as an industrial commodity and as a medication. This book is an all time favorite – and for a good reason. It has famously been coined the unofficial hemp bible. 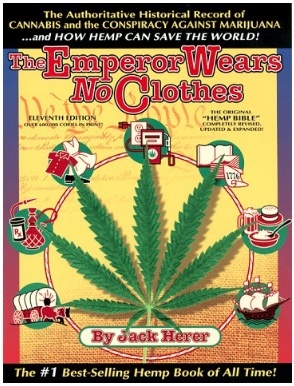 Ever since the early 70's, until his death in 2010, Jack Herer was a leading advocate for hemp and marijuana – (no, they are not the same plant, and this book does a remarkable job explaining that). Author Jack Herer goes into excruciating detail about the history of hemp and marijuana – he reveals the cold hard truth about why leaders in some of the most powerful industries wanted this sustainable resource banned, even before 1937. The original copy of this book was published back in 1985 and has been updated several times since. In fact, this book is proven so accurate, and the claims made in this book are so heavily backed by a variety of resources, it has been referenced by lawmakers and other personnel operating within the federal government for clarity around this sensitive subject. Most of us know that the truth about cannabis was kept from us ever since its prohibition in 1937, but it has never been revealed quite like this. Bestselling author Doug Fine didn't hold anything back when he created this resourceful, and comprehensive book that any hemp enthusiast or farmer should be reading. Investigative journalist Doug Fine embarks on a journey in search of the nation's leading hemp farmers; the very men and women who are literally operating on the front lines of a revolutionary agricultural breakthrough as the start to the next multi-billion dollar industry begins to take off and spread through the nation like wildfire. 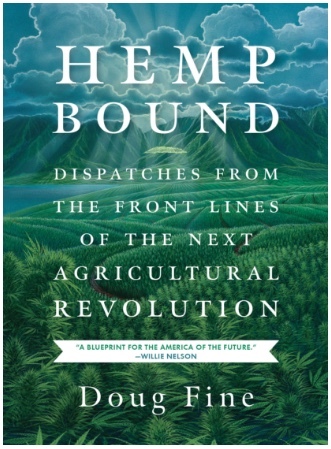 In this book, Fine depicts the economic sustainability of hemp and hemp farming; he engages in exclusive interviews with hemp farmers as these industry leaders give insight to this not-so-new way of life and how it helped the economic growth of civilizations dating back over 8,000 years ago. Want to use cannabis therapeutics but don't want to feel high? Using CBD to treat a specific condition? Curious about what dosage you should take? This book is one to consider. 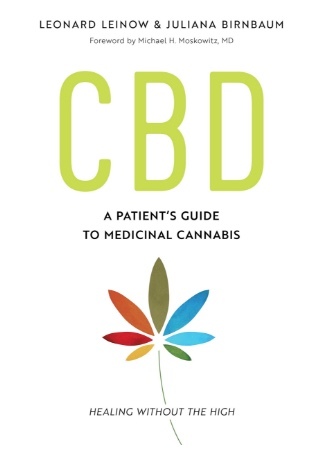 Beginners, experienced patients, and medical providers alike will find that this book offers itself as a practical, easy to consume guide for using CBD, terpenes, and other non-psychoactive components of cannabis. The authors did a great job translating case studies, and interviews with medical providers who have experience with successfully treating specific conditions with these fantastic plant compounds. This book will also walk you through the different types of oil, and the various methods used in the extraction of the compounds that are used to make it. They didn't stop there – they even include a section exclusively for pets. 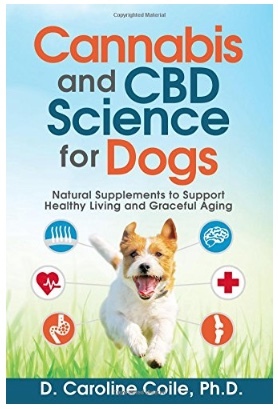 If your a pet owner and are wanting to get your pets started on a regimen of CBD, but don't know what dosages are safe, this book guides you through that process as well. CBD has been shown to help people with conditions such as seizures, pain, anxiety, inflammation, addiction, depression, among many others. All organized by disease, this book is an easy to follow resource for anyone looking for insight on how to find relief using non-psychoactive cannabis compounds. If you're looking for, literally, a pocket-sized quick reference guide – this would be it. Even with a publishing date in the late 90's – the information in this book is still relevant. It's filled with fun facts about how the first American flag was sewn with hemp fiber, and that the writing of the Declaration of Independence was composed onto hemp paper. Aside from the tidbits of fun-to-know information, hemp advocate and author, Rowan Robinson, compiles pages of summaries on popular topics, and specific uses hemp has on offer humans and the positive benefits it has on our planet. 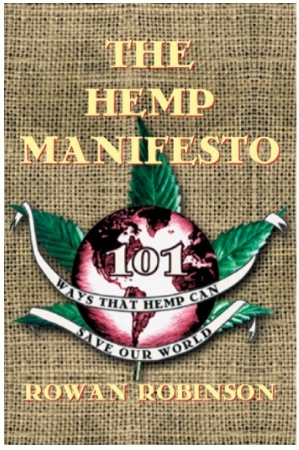 This book is an insightful glance at intelligent reviews (101 of them) about the “ways hemp can save our world.” Convenient, accessible, and easily consumed and retained. 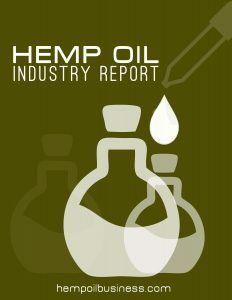 Best selling author, Earl Mindell RPh, MH, Ph.D. tells the whole story about hemp CBD – from start to finish. Although this book is primarily a guide to using hemp CBD products, he starts off by presenting a clear understanding of the laws based on hemp CBD. For instance – did you know that currently, CBD is illegal in the U.S. unless it's sourced from Europe? This is important to understand, and this is one topic where Mindell has uniquely shed light on for many readers. Quickly getting back to the meat and potatoes of this book – Mindell begins explaining to the reader all of the health benefits associated with using hemp CBD as an alternative treatment option for many debilitating conditions. Based on solid documented research, the author presents an A-Z guide for using CBD to treat various ailments. 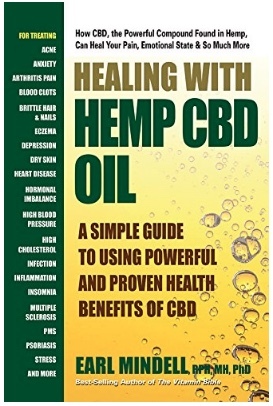 Also shown in this book is a comprehensible “consumers guide” designed to thoroughly guide the reader through the different stages of buying and consuming hemp CBD oil. Essential things like; dosing, what not to buy, and the various delivery methods. This is a book you'll want to put in your library if you want to know everything from the history of this plant, to the latest research on how it can treat a list of medical conditions. Tom Berfelo is a best selling author who has written a few other books based on hemp, CBD, and growing marijuana. But when talking about CBD hemp oil – this one takes the cake. 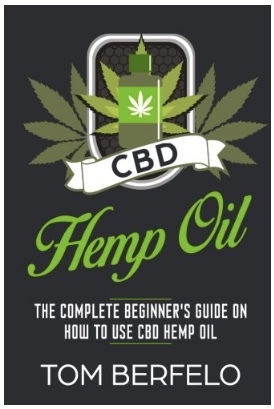 This book is full of topics that any beginner would want to know before they dive into taking CBD hemp oil as a supplement. 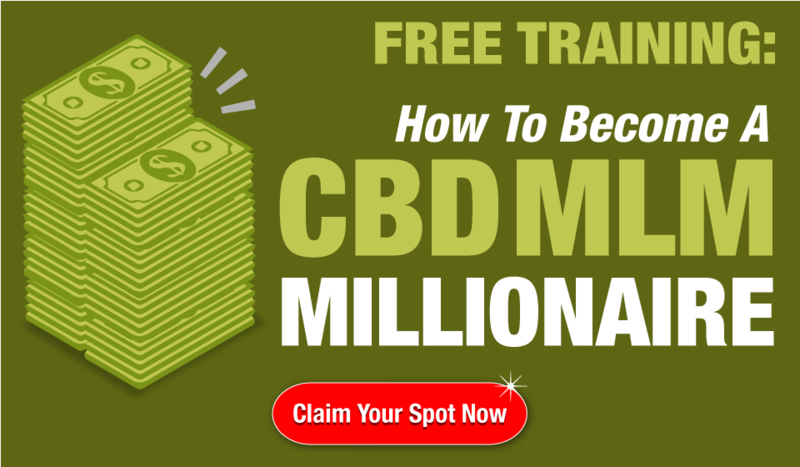 Everything from the basic; “What is CBD hemp oil?”, to the difference between CBD and THC, to a single chapter dedicated to the top 4 medical conditions CBD has been shown to treat – these include; cancer, epilepsy, psychosis, and anxiety. Whether you're looking to receive more information about the basics of hemp CBD, or a patient who wants to channel their knowledge consumption based on a specific condition – this is your book. by D. Caroline Coile Ph.D. When talking about cannabis, CBD, and pets – this is the “go-to” book for any pet owner or animal lover. I didn't base that statement solely on the profound content in this book, because it is, in fact, profound. But what gets me more excited is the person who wrote it. The author of this book, Dr. Caroline Coile has a pretty impressive resume is I do say so myself. She is a best selling author of Barron's Encyclopedia of Dog Breeds, an inductee of the Dog Writers Association of America Hall of Fame, the winner of eight Maxwell Medallion Awards, the writer of the monthly column “Breeders Notebook” for Dog World Magazine, and is also the writer of the bi-monthly “Nutrition” column for the AKC Gazette. She has also held the canine consultant position for the FAA and has served on the Presidential Council for the AKC Canine Health Foundation. I don't give you all this information about the author to be “windy” – I do this because if I am going to consume any info on treating my dog with cannabis or CBD, I am going to get it from some of the most credible sources out there. Dr. Coile is one of them. Dr. Coile gives an excellent explanation on the ECS, and how animals also possess an ECS that needs to be supplemented a little differently than humans. Everything in this book is based on documented research and hard facts. One for the animal lovers out there! Looking for a book that isn't just about marijuana buds, or flowers? Looking for a book that educates you on everything you wanted to know about cannabis concentrates? This is the book you've been waiting for. Traditionally, cannabis has always been “smoked” in a flower, or bud form. Not until recently did the spike in interest happen for cannabis concentrates – when I say “concentrates” I am referring to dabs, oils, wax, shatter, etc. These are the products produced from extracting the chemical compounds from the traditional flowers, buds, and stalks of cannabis plants. World-renowned cannabis cultivator, bestselling author, and member of the faculty from Oaksterdam University, Ed Rosenthal, has teamed up with an award-winning freelance journalist, and bestselling author David Downs to bring you one of the most desired books about cannabis concentrates and cannabis extracts. Both of these marijuana icons have written several award-winning books about cannabis, growing cannabis, and the medical benefits surrounding the use of cannabis to treat a slew of medical conditions. This particular book spotlights the importance of using cannabis concentrates instead of “outdated” methods of consuming marijuana. It's a new day in age and people are continually searching for a more natural and pure way to consume their cannabis without all of the unwanted carcinogens. This book is here to offer itself as a guide to this very topic. 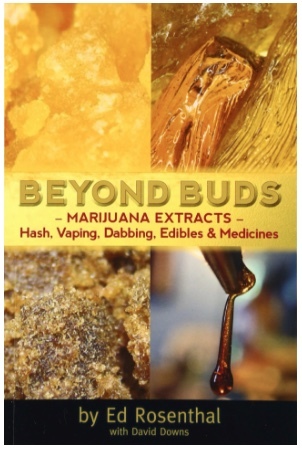 A must read if your ready to start exploring the exciting world of cannabis concentrates. Of course, no list of recommended reads about cannabis is complete without an award-winning cannabis cookbook. 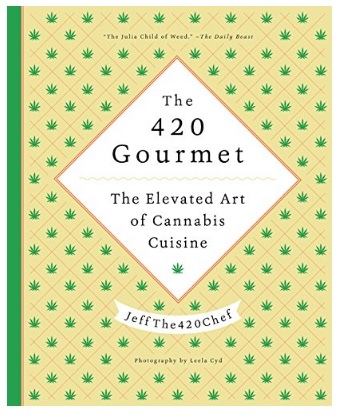 This books author and recipe creator, Jeff the 420 chef, was initially inspired to cook with cannabis for a friends mother who was battling cancer and needed something to ease the assaulting side effects of the cancer treatment, and not to any surprise – it worked. Since then, Jeff has made a career out of cooking with cannabis, traveling around the country preparing gourmet cannabis entrees for friends and celebrities. Within this book, you get the step-by-step process, and ingredients list, accompanied with illustrations for some of Jeff's famous dishes and what specific dishes depicted in this book can help treat a particular medical condition. Perhaps one characteristic that makes Jeff's cooking so unique is the proprietary method he has developed over the years that has made it virtually impossible to smell the cannabis as it's prepared. This is a game changer for those who want to be discreet when cooking with cannabis. Other great features offered in this book consist of a practical guide to marijuana without a ton of the sometimes unwanted scientific information, and a comprehensible dosage calculator that can be easily applied to your specific dishes as needed for your own desired effects. A must-have cookbook for any foodie who is looking to start cooking with cannabis in their kitchen. 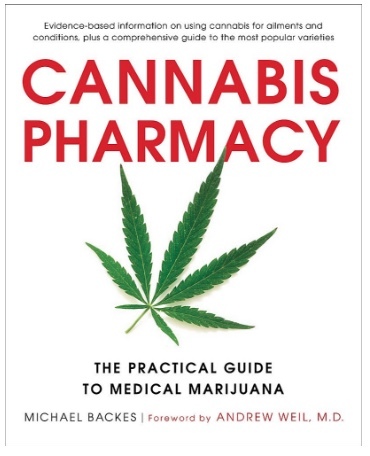 This is the latest, completely updated edition of Cannabis Pharmacy by cannabis expert, Michael Backes. This version also includes a foreword from Andrew Weil M.D. Author Michael Backes is the co-founder of the Cornerstone Research Collective – California's first evidence-based medical cannabis collective. Backes also sits on the Cannabis Committee of the American Herbal Products Association and has served as a board member of the National Cannabis Industry Association. Throughout this book, you will consume the latest evidence-based information on how medical cannabis can address the symptoms of various ailments and conditions. Backes also describes in detail how cannabis works with our bodies, as well as how it doesn't. In this newly revised version, you receive an additional 21 conditions and how medical marijuana can treat them, an updated version of on how to modify and control medical cannabis dosing, new cannabis preparations, new e-cig designs, even a proposed new classification system to reclassify marijuana. This book will also satisfy the science-heavy readers as it goes into detail about terpenoids, and even has a section that presents scientific cannabis genetics. 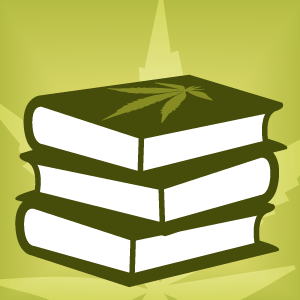 Hopefully, this list of resourceful cannabis books gave you a head start on your search for credible books about cannabis. You'll notice that every book mentioned above has one thing in common – their authors are considered experts within the cannabis industry. Whether it be scientific, medical, or agricultural, their all written by someone who knows what they're talking about. Within this new and exciting industry, the main topics that keep getting brought up are education, education, and education. This plant has had so much red tape surrounding it for so many years, and it's been challenging to research and study due to the Federal Government's classification of it – so it's no wonder that there are not many people who know the truth about cannabis. Fortunately, more and more states are allowing marijuana to be researched and are pulling back the reins of prohibition. These are the people who are on the front lines of cannabis research – and people who are supporting factual education about cannabis.